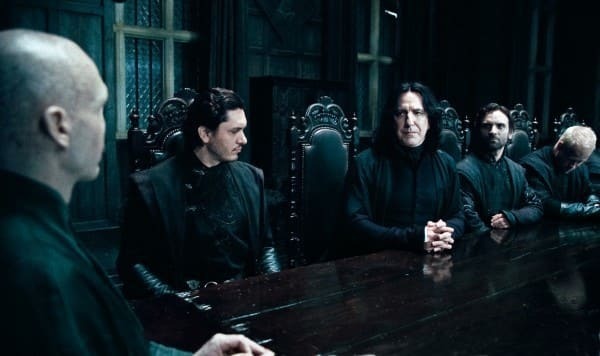 Ralph Fiennes and Alan Rickman together again in Harry Potter and the Deathly Hallows. Alastor 'Mad-Eye' Moody: Fare warning, it tastes like goblin piss. Fred Weasley: Have lots of experience with that do you Mad Eye?... just trying to diffuse the tension. Well, well, well, look what we have here. It's Harry Potter. He's all bright, and shiny, and new again, just in time for the Dark Lord.